With electrons always flowing down the path of least resistance and the above example, the InvisiFlex™ design utilizes a proprietary flex material incorporating strip-line technology that has a Femto Dielectric (path of least resistance). The spatial distribution of the time varying (E) electric fields and (H) magnetic fields within the strip-line paths is directly imposed by the shape and proprietary materials used reflecting the EM waves away from the wire conductors while eliminating any magnetic fields close to any conductor paths of either the connector or cabling involved. 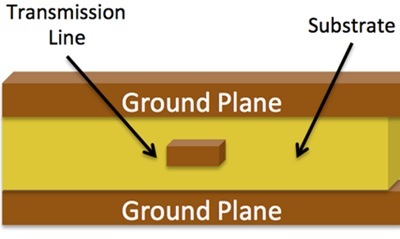 Strip-line transmission lines are fully contained within a substrate – which is either sandwiched between two ground planes, or closely surrounded on both sides of same. 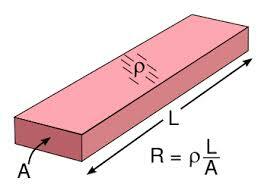 Important note: The dielectric of both of the materials used for the PCB directly affects transmission line impedance. The InvisiJack™, when used with InivisTwin1 Twinax cable, can transmit at bit rates of 12.5Gbps at frequencies up to 20GHz with data packet rates of greater than 800,000bps while maintaining well within EMI and Isolation compliance requirements and without suffering any degradation or disruption in performance due to interference in both common and differential modes. In addition, InvisiFlex™ Technology does not require the common use of capacitors, resistors or inductors for data transmission or isolation, eliminating the need for magnetics. The InvisiJack™ with InvisiFlex™ will solve the problem of crosstalk coupled from adjacent lines found in traditional RJ-45 jack and cable components. The problem associated with "coupled noise" (crosstalk) increases as the signals for these components have higher and higher data transmission speeds. The historic approach was to add increased spacing between the lines to create signal isolation, but that alone does not protect the remaining transmission lines in the RJ-45 from picking up unwanted noise. By using our patented, differentially balanced InvisiFlex™ circuitry, the InvisiJack™ provides superior Insertion Loss characteristics, increased Signal to Noise Ratio, and a Narrow Pass Band and Narrow Stop Band for data transmission.